This 492 Portable Spectrum Analyzer is a high performance, rugged, microprocessor aided instrument of compact size and offers automatic modes. Three-knob operation provides simple steps through microprocessor coupled functions such as resolution bandwidth, video bandwidth, sweep time, frequency span, RF attenuation, and reference level. 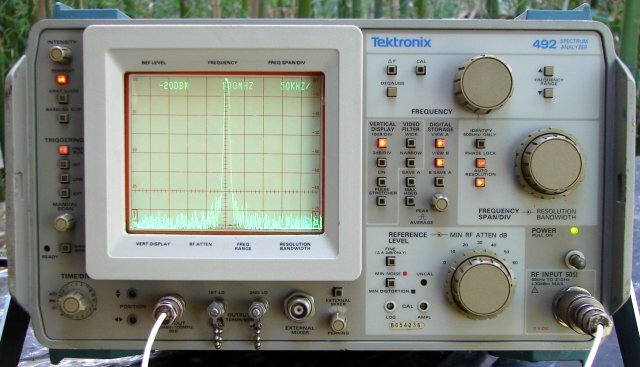 This unit covers from 50kHz to 21GHz with external mixer to 325ghz. Amplitude comparison in 0.25 dB steps. Dynamic range of 80 dB -120Db to +40db input signal. 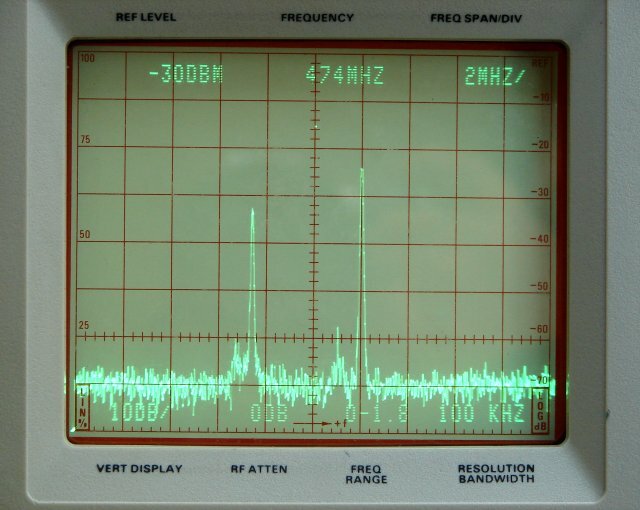 The instrument has a resolution bandwidth of 1MHz to 1kHz in decade steps, plus an autoposition. Resolution is within 20% of selected bandwidth.